The Tax Court ruled that a taxpayer was entitled to equitable relief pursuant to IRC § 6015(f) even though she might have had reason to know that the tax wasn't being paid. The court held that lack of abuse, and that the divorce decree failed to address who was liable for the taxes were neutral factors not weighing in the IRS' favor. The Court noted that the case was not subject to recently issued Treasury Regulations which might have changed the result. In addition, the court held that the taxpayer was entitled to a refund even for amounts that had been paid prior to July 22, 1998. The court also noted that the innocent spouse legislation was "curative" legislation" therefore its provisions should be construed liberally. Washington v. Commissioner, 120 T.C. No.9 (2003). The Tax Court has held that it was an abuse of discretion for the IRS to apply a two-year limitation period to deny equitable relief to Natalie McGee pursuant to IRC § 6015(f) when the first collection action against her didn't include a description of her rights under section 6015. McGee v. Commissioner, 123 T.C. No. 19 (2004). The Tax Court has held that the IRS's offset of an individual's overpayment is a collection activity under section 6015 and that the election for relief from joint and several liability under section 6015, filed more than two years after the offset, was untimely. Campbell v. Conner, 121 T.C. 290 ( 2003). Campbell is arguably inconsistent with the Court's holding in McGee, supra. The IRS is not prohibited from filing a notice of federal tax lien while a request for innocent spouse relief under Section 6015 is pending. Beery v. Commissioner, 122 T.C. No. 9 (2004). A non-requesting spouse may intervene in a Tax Court case for the sole purpose of supporting the petitioning spouse's claim for relief. Van Arsdalen v. Commissioner, 123 T.C. No. 7 (2004). The regulations mandate that a taxpayer who requests a face-to-face CDP hearing "must be offered an opportunity for a hearing at the Appeals office closest to the taxpayer's residence or, in the case of a business taxpayer, the taxpayer's principal place of business." Treas. Reg. Sec. 301.6330-1(d)(2), Q&A-D6 and D7. The IRS' failure to comply with this regulation resulted in the Tax Court remanding the taxpayers case to the IRS for a further hearing. Parker v. Commissioner, TC Memo 2004-226. In Montgomery v. Commissioner, 122 T.C. No. 1 (2004) the Tax Court held that the Appeals Division (and ultimately the Tax Court) has jurisdiction to review the correctness of a self-assessment. Therefore where the taxpayer has filed a return, fails to pay the tax, and now believes that the tax shown on the original return is incorrect she may litigate the issue in Tax Court without full payment of the tax shown on the original return. In Chocallo v. Commissioner, TC Memo 2004-152, the Court denied the taxpayer's request for sanctions against the IRS where it had improperly collected over $20,000 from the taxpayer via levy without issuing a formal notice of determination as required under IRC section 6330. While this result was not surprising the interesting part of the case is that the Court also denied the IRS' motion to dismiss for lack of jurisdiction on the grounds that no determination had ever been issued by Appeals. 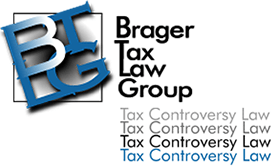 The Court held that the taxpayer had received a "determination" as contemplated by IRC section 6330 where the IRS levied before the taxpayer had an opportunity to contest the levy in the Appeals Division. The Tax Court ordered the IRS to refund the proceeds improperly collected by levy, with interest. Fargo v. Commissioner, TC Memo 2004-13 (appeal pending 9th Cir.) The Court held that the IRS did not abuse its discretion in refusing to accept an effective tax administration offer in compromise from elderly purchasers of a tax shelter even though the husband had Alzheimers which could eventually require around the clock nursing care that would have exhausted the taxpayers' admittedly substantial assets. In addition, the IRS' refusal to consider acceptance of the offer on the basis of the lengthy delays (approximately 20 years) by the IRS in making an assessment was not an abuse of discretion despite direct reference to such offers in the legislative history. In Pixley v. Commissioner, 123 T.C. No. 15 (2004) the Tax Court held that an Appeals Officer did not abuse his discretion by denying a taxpayer's proposed offer in compromise. Pixley wanted a deduction as part of his living expenses for the amounts that he tithed to his church. Relying upon the Internal Revenue Manual the Court held that since tithing was not a condition of Pixley's employment the Appeals Officer was not required to allow the deduction, and there was no violation of Pixley's first amendment rights. In Fowler v. Commissioner, TC Memo 2004-163 the Tax Court held that the Appeals Officer abused his discretion in denying an offer in compromise. The Appeals Officer had concluded that since the taxpayer's hypothetical living expenses under the IRS National guidelines exceeded the taxpayers' actual income, the taxpayers did not have sufficient income to follow-through on a proposed offer in compromise which called for monthly payments over a two year period. The Appeals Officer arrived at this conclusion despite the fact that the taxpayers' actual living expenses were sufficiently below the IRS guidelines to permit the payments. The Tax Court held that the IRS did not abuse its discretion in refusing to consider an offer in compromise while the taxpayer was not in current compliance. Collier v. Commissioner, TC Memo 2004-171. In a speech to the ABA National Taxpayer Advocate Nina Olson was highly critical of the OIC program, and in particular the IRS decision to centrally process the offers. She cited statistics that the number of non-processible offers has gone from 14% to 31% from mid 2001 to mid-2004. She said she will be submitting legislative proposals to Congress in her 2004 annual report to Congress which address her OIC concerns particularly those regarding ETA offers. 2004 TNT 192-3. IV. Changes made by the American Jobs Creation Act of 2004. IRC section 6159 has been amended to permit the IRS to enter into installment agreements which do not fully pay the tax liability. IRC section 6306 permits the collection of tax debts by private collection agencies. A bankruptcy judge held an individual liable for the trust fund recovery penalty rejecting his argument that although he knew of the tax delinquency, he didn't rectify it because of the business owner's threat to fire him if he paid the IRS before other creditors. In re Larry Borman, No. 03-16349-BKC-AJC (Bankr. S.D. Fla. Sept. 12, 2004). The Eleventh Circuit, affirming a district court, has held that an individual involved in a fraudulent scheme to avoid fuel excise tax had no legitimate expectation of privacy in Federal Express packages that shipped cash for the scheme. Circuit Judge Peter T. Fay rejected Young's challenge to the district court's conclusion that he had a diminished expectation of privacy in the packages and that their search and seizure violated his Fourth Amendment rights. The court noted that the Federal Express airbills say Federal Express has the right to inspect packages and warns not to send cash. Judge Fay concluded that the airbills distinguish this case from the inspection of damaged packages cases and affirmed the finding that Young had no legitimate expectation of privacy in the packages. United States v. Young, 2003 TNT 226-50 (11th Cir. 2003). Based upon an affidavit by the attorneys involved, a District Court in Texas awarded attorneys fees at the rate of $250 per hour, a rate over the statutory rate. The affidavit stated that the customary attorneys fees charged in the local area ranged between $250 and $400 per hour during the year that the case was pending. The affidavit also stated that the number of attorneys experienced and competent in handling this type of complex civil tax litigation in the local area were limited to 4 or 5 such attorneys with sufficient experience in federal tax litigation who could competently handle a case of this complexity. Gandy Nursery v. United States, 2004 TNT 88-18. The Sixth Circuit held that due process prevents the statute of limitations from barring a suit for wrongful levy because the IRS letter denying her claim for refund of property which was sent while her claim was still timely erroneously said she had six months to file suit, and she did file suit within that period. Carter v. United States, 2004 TNT 194-9 (6th Cir. 2004). The Court of Federal Claims has ruled that in order for the Internal Revenue Service to claim executive privilege, the Commissioner of Internal Revenue Service must personally invoke that privilege. Marriott International Resorts v. U.S., 2004 TNT 151-10. Galletti v. United States, 124 S. Ct. 1548 (2004). The Supreme Court held that the IRS is not required to separately assess a general partner of a partnership that has been assessed unpaid employment taxes, and may pursue a claim in the general partner's bankruptcy proceeding. The Court came to this conclusion based upon its analysis that the general partner is not a "taxpayer" for the purposes of the statutes governing assessment of the tax under section IRC 6201. However, the Court did not answer two very important questions. 1. Whether the IRS may collect from the general partner pursuant to its administrative collection procedures, e.g. levies and liens, or is it limited to filing suit against the general partner just as any other creditor who claims under state law. 2. Whether the general partner is also liable for interest and penalties accrued on the partnership tax debts. A. The SBE has held that even though the Franchise Tax Board delayed 20 years in issuing a Notice of Proposed Assessment for a tax deficiency based upon an IRS audit, there was no ministerial error or delay requiring the abatement of interest. The taxpayer filed a timely 1983 return that was later audited by the IRS. Because the taxpayer did not report the changes required under Rev. & Tax Code § 18622, the FTB was not made aware of it until receiving an audit report from the IRS in 2001. Since the FTB issued an NPA shortly after receiving the information from the IRS, there was no ministerial delay and interest on the deficiency was not abated. Appeal of John C. Templer, (June 15, 2004).